[dropcap style=”square” color=”red”]I[/dropcap]Ingredients: tomatoes, vegetable oil, sugar, malt vinegar, ginger, chili powder, garlic, mustard seeds, cumin, chili peppers, salt. 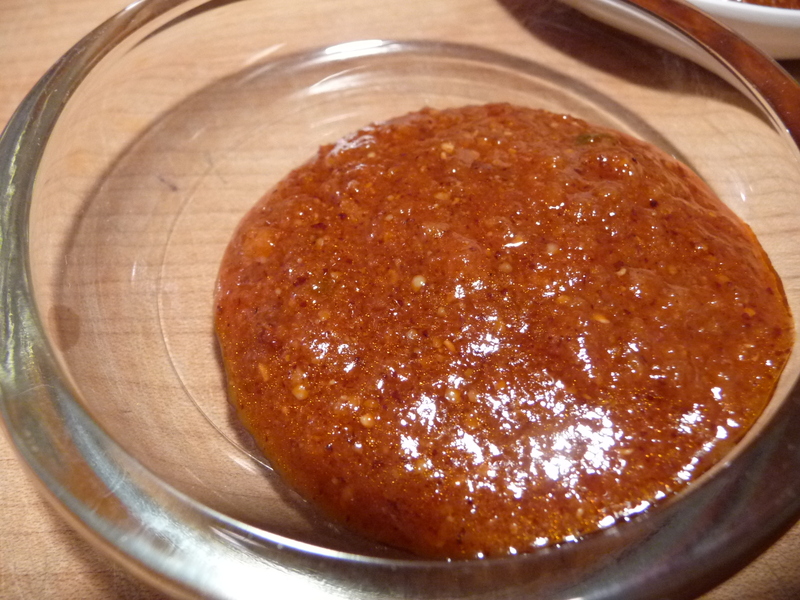 [dropcap style=”square” color=”red”]A[/dropcap]Appearance & Texture: Matanzima Hot Sauce is extremely thick and slightly chunky, with a bit of the oil floating to the top (before shaking). 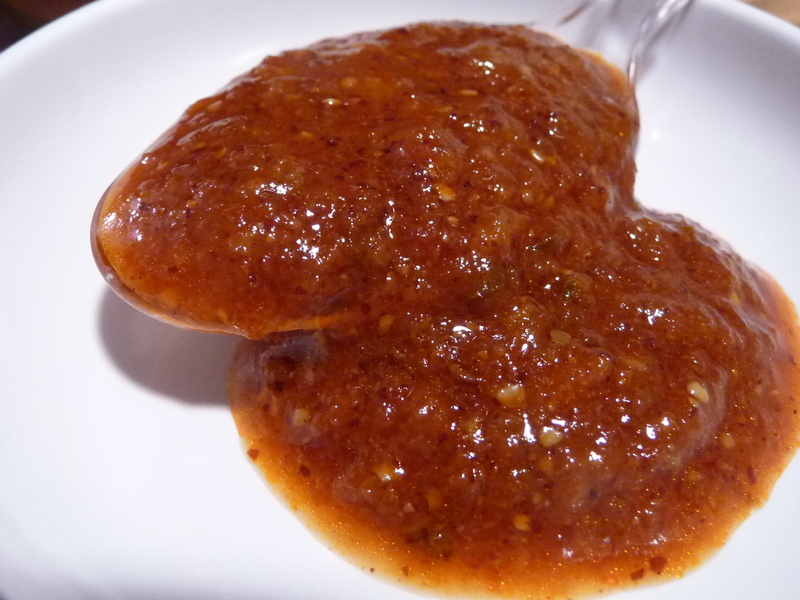 The “grind” is very fine, making for a beautiful sauce with a nice “bite” – think of a pasta sauce in hot sauce clothing. [dropcap style=”square” color=”red”]T[/dropcap]Taste Straight Up: First up is the sugar and sweet tomato flavors – followed by the heat of the chili peppers. The ginger surely adds its own heat, although we don’t detect it very strongly here. Matanzima Hot Sauce is very reminiscent of a pasta sauce, (I think the oil and sugar along with the fresh tomatoes contribute to this pasta sauce profile), but the added heat of serrano peppers and unique flavor of cumin and chili powder round it out nicely. [dropcap style=”square” color=”red”]H[/dropcap]Heat Level: – On the plus side of medium, this sauce has a quick bite of heat that goes away quickly. 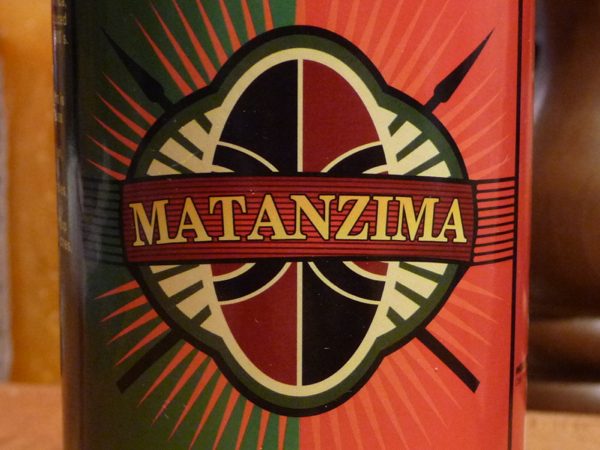 [dropcap style=”square” color=”red”]L[/dropcap]Label/Graphics: With colors of green and red, and a simple logo – Matanzima could easily secure its place on the shelves of Williams-Sonoma, Whole Foods or Jungle Jim’s. 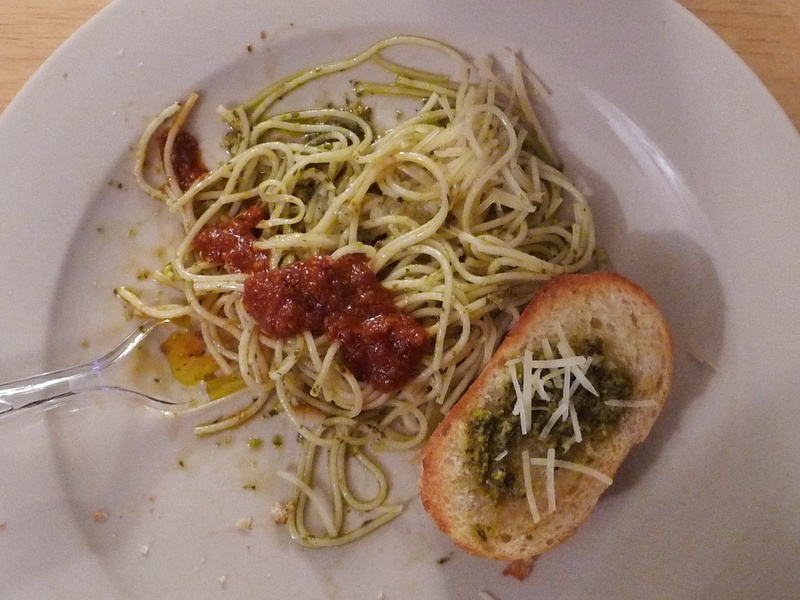 [dropcap style=”square” color=”red”]O[/dropcap]Overall Rating (Taste on Food, Final Thoughts): We’ve sampled Matanzima African Hot Sauce on pasta (yep, had to do it), pizza, and tacos – with tacos winning so far as the best combo with the sauce. But there’s so much more you can do with it – dip your french fries in it, slather it on burgers, or fill half an avocado with some Matanzima sauce, mash with a fork, and spread on crackers. 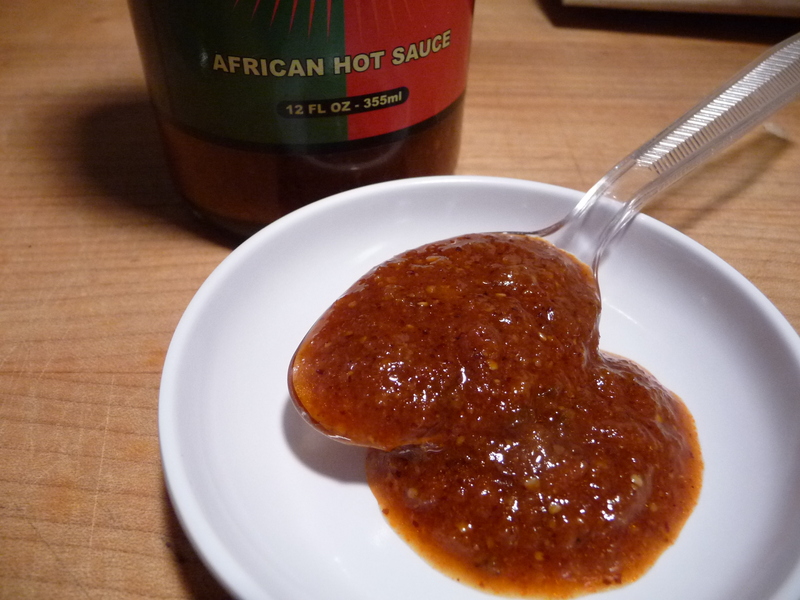 You can purchase Matanzima African Hot Sauce at Matanzima.com. I should add, they are only offering a 3 pack of the sauce (or case of 12). Something I just do not agree with. I would prefer to be able to purchase just one bottle. By forcing you to buy 3, if you don’t like it, you are stuck with 2 other bottles – and of course this goes for *any* sauce. It’s probably a shipping cost issue, but I think any hot sauce manufacturer is hampering their sales this way. Just my opinion. Is this sauce new to the market? I would like to try it having the mustard seeds and the ginger, however I don’t like any sauce with sugar in it. I am more for the salty and spicy taste. It is new Jon. With sugar being 3rd in the list of ingredients this sauce is fairly sweet. However it is such a unique sauce it’s 50-50 as to whether you would like it. I agree that it was sweet, but it also had a fairly unique combination of ingredients. I’m hoping to try it on something a little lighter, like a fish or chicken dish. 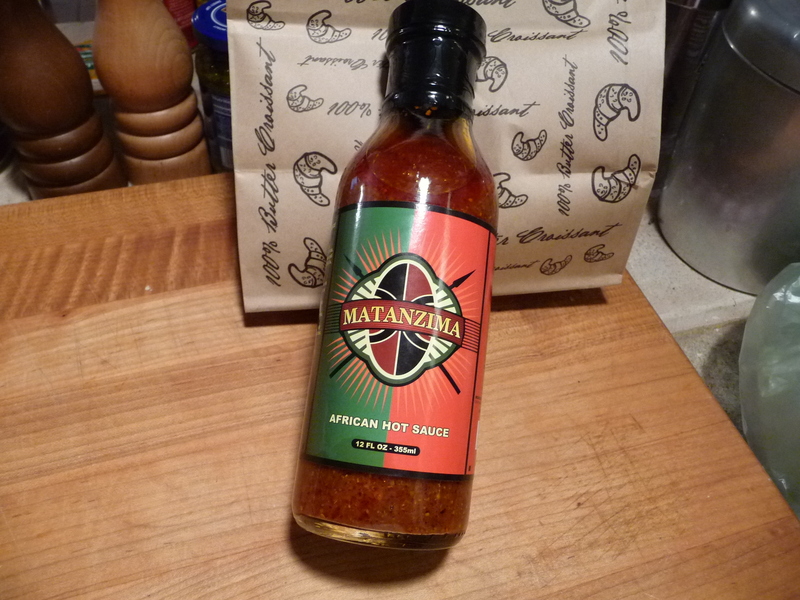 Nice sauce, Wayne… can’t wait to see what Matanzima comes up with next. I’ve been fortunate enough to have had this sauce for a while now – it’s not often in the hot pepper product world that you can call something truly “unique”. Mantanzima truly has something going on that no one else does. It’s a very savory and different sauce – I love the flavor profiles. Tasty stuff Wayne, and deserving of this solid review. Nice work Brian & Marilyn! Thank you Scott Z! Nice to know you like it too.